Large knives are cool, but a lot of times, they are impractical. Sometimes, smaller is better. Small blades allow you to work far more intricately, and with far more precision. Well, that was the thought process behind 2016’s Scandinavian outdoor award winner, the Morakniv Eldris. Small, but effective, the Eldris won that award based on functionality, quality, innovation, design and sustainability. 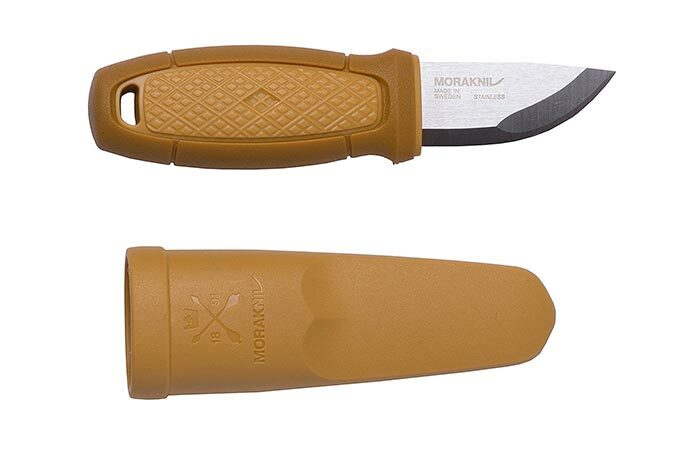 The Morakniv Eldris comes in two different versions. This version includes a kit with a fire steel on the sheath. This blade measures in at a total length of 5.6 inches, and a blade length of 2.2 inches. The blade length, however, is compounded by the fact that it is constructed out of 12c27 stainless steel. Besides looking awesome, this also means that the blade is razor sharp, features superb hardness, exceptional toughness and excellent corrosion resistance. Check out the video below. Furthermore, the blade is constructed from high-quality Sandvik stainless steel that holds a superb edge. Furthermore, the handle is made from TPE rubber that gives you outstanding grip in any weather condition. You can also purchase the Eldris in two different versions; one that comes with just the plastic sheath, or the other that comes with a neck kit. 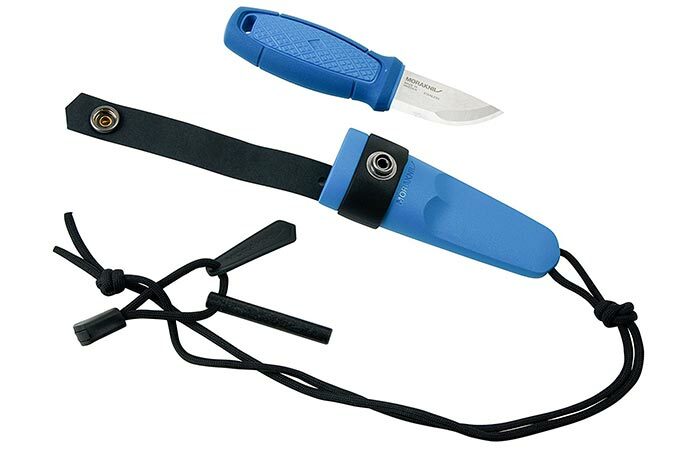 This kit includes a hard plastic sheath, fire steel, paracord and a secondary lock. 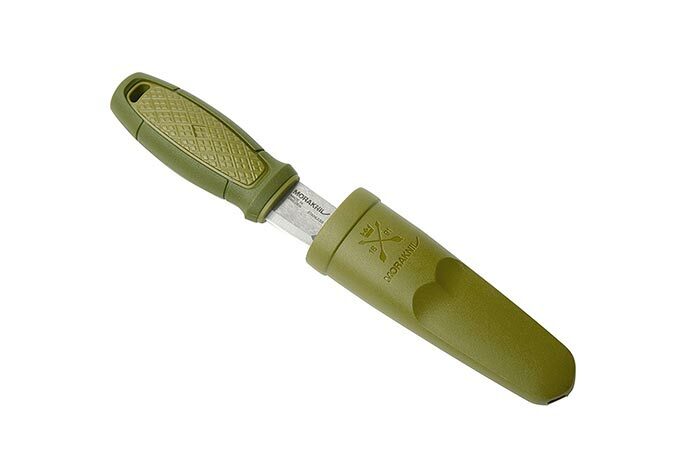 The hard plastic sheath keeps the super sharp mini blade safe. In addition to this, the Eldris also features a square-edged ground spine blade that can be used as a fire steel striker. All in all, the Eldris weighs in at 2.08 ounces, is available in a variety of colors, and comes with a 1-year warranty.